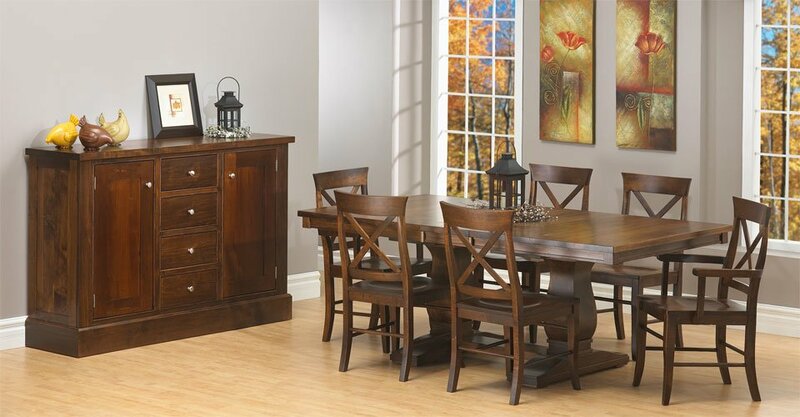 Elegant and timeless dining furniture for your modern space. There are so many options when thinking about a modern dining space, which way should you go? We put together our favourite 5 modern dining sets, they range from luxurious to timeless and elegant designs! 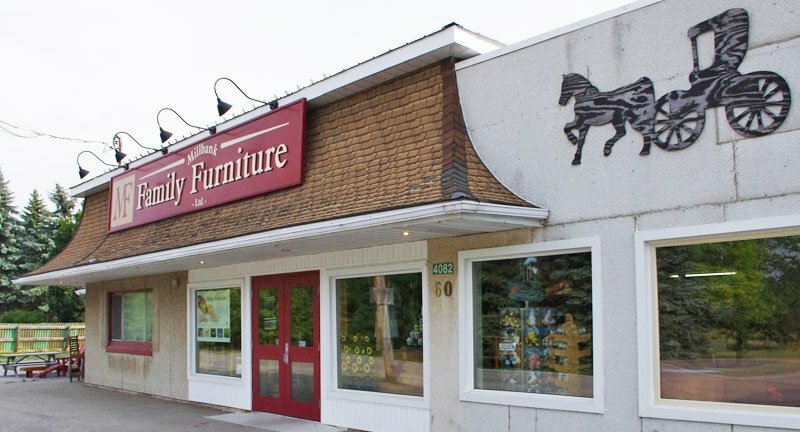 When designing our furniture, we will always create the perfect balance of functionality and style. We want the end result to be stunning and unique, but most importantly our designs are built with quality materials and are extremely sturdy! All of these sets are handcrafted locally with the finest materials, they are also available in different stain colours and woods. We love giving you the option to customize your dining set in order for the design to fit your style. Let’s see which one of these sets are your favourite! The bold and modern frame sets this table aside, we absolutely love the stunning grey tones of this set. 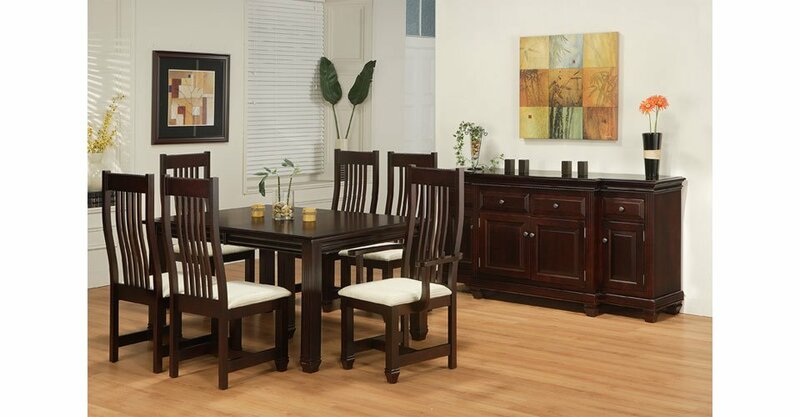 Because of its unique shape, this Contempo dining set provides a subtle wow factor to a dining space! The chairs are elegant and stylish without taking away from the design of the dining table. Let’s not forget to check out the sideboard, it’s the perfect balance of style and storage. As you know, we love us some storage. This set has an european flair that is fit for modern kings and queens. The chairs are extremely comfortable and luxurious, they also feel like your own individual trone. 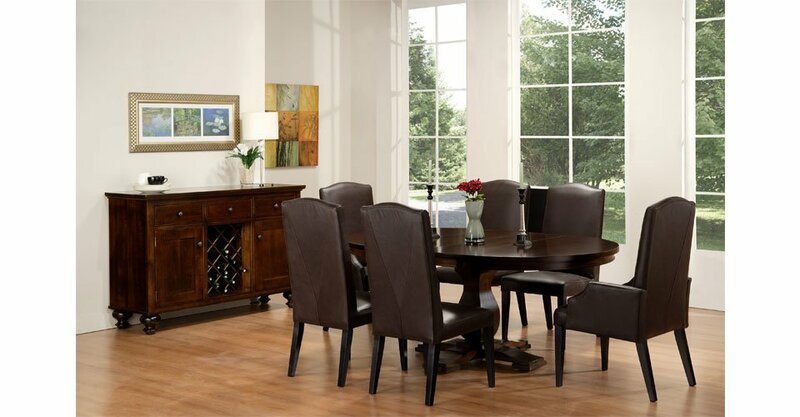 The Georgetown dining set is a classic and timeless design, we especially love the big oval table with bold accents! Inspired by the Spanish colonial period, this set is impressively build with bold and modern features. 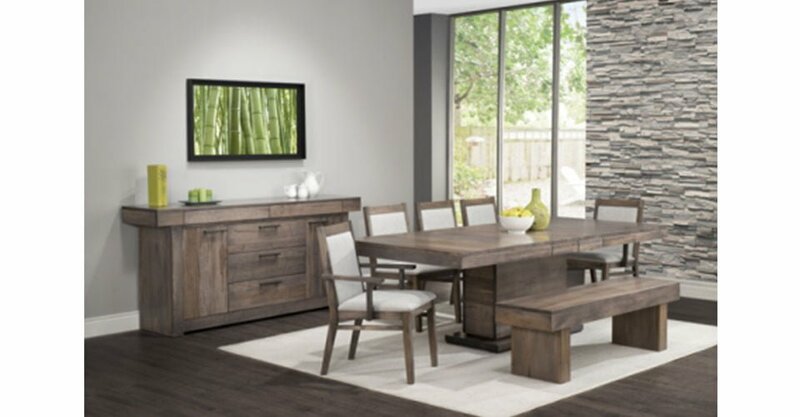 The Madrid dining suite has many unique details and is customizable, you can choose from your choice of stain colours. This table is definitely big enough for large family gatherings. Stunning modern and clean design, this set is the definition of contemporary! This set is available with stunning chairs and bench, it’s always fun to mix and match with a fun bench, kids love it…And let’s be honest, so do we!! 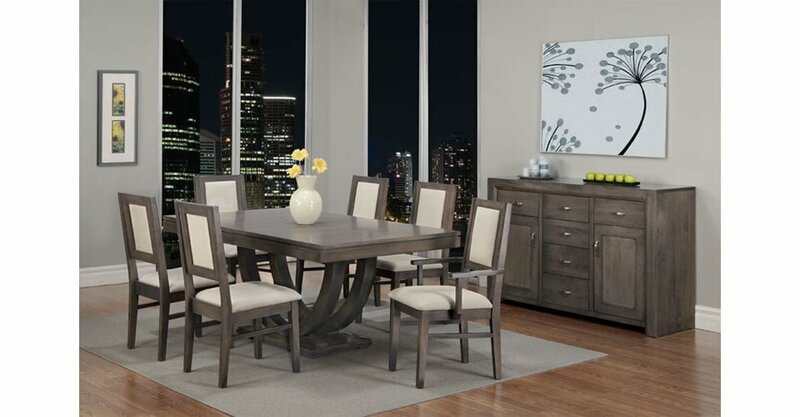 Elegant and classy, the Florentino dining set does not disappoint. From the detailed mouldings, to sleek and stunning leather chairs, this set is a total wow factor. And it only gets better, you also have the choice to customize the chairs! We provide 8 different leather choices and many choices of fabrics! 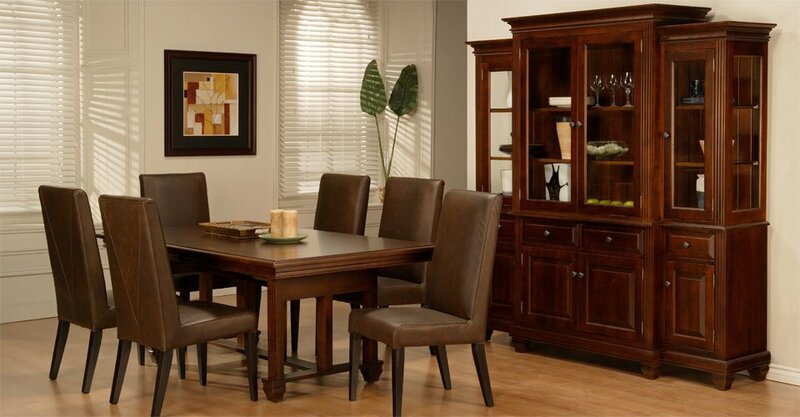 Which of these sets could you envision in your dining space? Feel free to share with us on our social media platform, we would love to hear how you would put together a modern dining space and which furniture pieces you would use to style your space!